Based on the O’ring function principle with two non extrusion rings (RO), what insures the non extrusion in high working pressures. 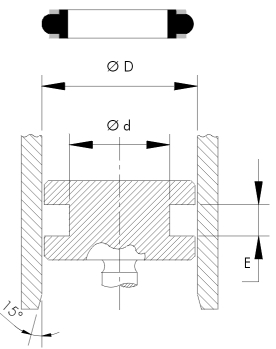 It can be used in grooves for an O’ring with two non extrusion rings (RO). Its working temperature is about 200 ºC according to the type of compounds used in the products. 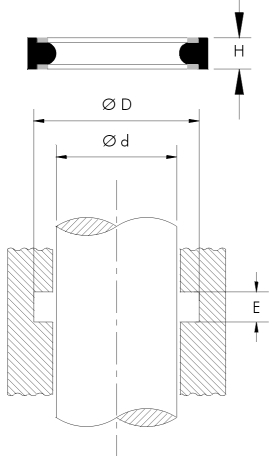 Piston assembly: it admits stretching up to 5 % in diameter (d) keeping the section. 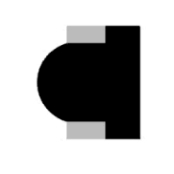 Rod assembly: it admits stretching up to 1,5 % in diameter (d) keeping the section.